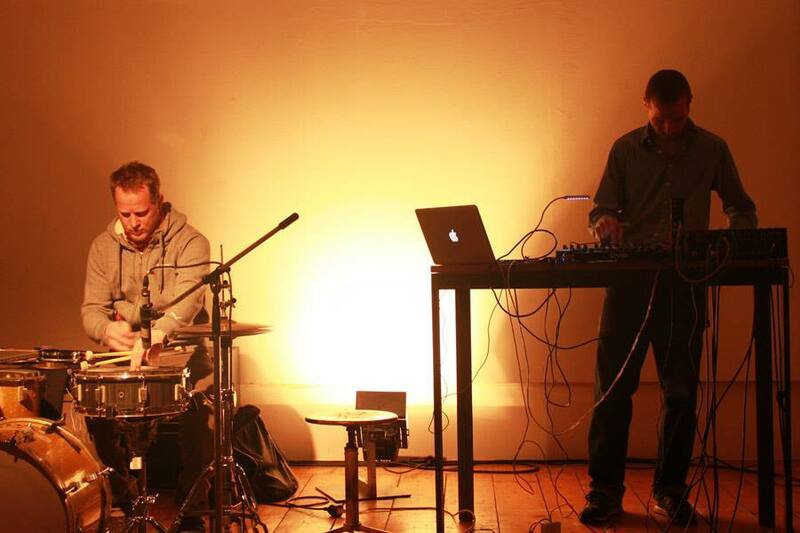 Brandlmayr//Hegenbart is a Drum&Computer-Duo that works in between abstract Dub and contemporary electroacoustic music. The collaboration started as a studio project. Recordigns and overdubs were interchanged between Vienna and Berlin, eventually becoming part of Hegenbart’s audio release INSTRUMENTARIUM (2012, *Staubgold/Monotype-Records/GOD-Records). Later followed live performances, e.g. at Musikprotokoll, Graz and Alte Schmiede, Vienna. With Beobachtungen #01 (i.e. Observations #01), the duo focuses on rhythmic structures and textures. Terms such as ‘groove’ or ‘beat’ are re-interpreted in new ways. Without using measures or scores, driving patterns emerge which are constantly changing. As a source of inspiration the duo mentions the flight characteristics of swarms of birds, such as starlings moving as a multi-dimensional cloud that is seemingly unorganized at first glance, yet shows a complex system of combined shapes. Brandlmayr//Hegenbart create dense clouds of sound, a maelstrom made of internal structuring and permanent deformation.